Salman al-Farsi RA (Arabic: سلمان الفارسي‎‎), a Persian (today Iran) was a companion of Rasulullah ﷺ and the first non-Arab of Persian descent who converted to Islam. Other companion of Rasulullah ﷺ referred Salman Al Farisi RA as Abu Abdullah (“Father of Abdullah”). Known to be the Sahabi which suggest the digging of trenches around Madinah when it was attacked by Makkan pagan Quraish in the Battle of the Trench (Khandaq). Salman Al Farisi RA was raised as a Zoroastrian, then attracted to Christianity, and then converted to Islam after meeting Rasulullah ﷺ in the city of Yathrib, which later became Madinah. According to some traditions, he was appointed as the governor of Al-Mada’in in Iraq. Salman Al Farisi RA was born either in the city of Kazerun in Fars Province, or Isfahan. In a hadith, Salman Al Farisi RA also traced his ancestry to Ramhormoz. The first sixteen years of his life were devoted to studying to become a Zoroastrian magus or priest after which he became the guardian of a fire temple, which was a well-respected job. Three years later in 587 he met a Nestorian Christian group and was so impressed by them. Against the wishes of his father, he left his family to join them. His family imprisoned him afterward to prevent him but he escaped. The following is a lengthy hadith about the story of how the great Sahabi Salman al-Farisi RA came to Islam. 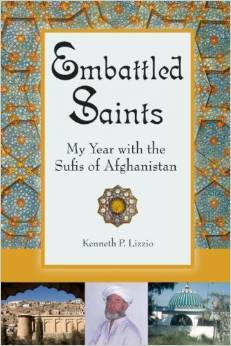 Salman al-Farisi RA was a Magian (Zoroastrian), then he became a Christian, then he became a Muslim. That was after he had met a number of Christian monks, the last of whom was a righteous man who had knowledge of the last Prophet. The monk advised Salman to go to Arabia, where the last Prophet would appear, and he described the place to him, and it was the City of Rasulullah ﷺ i.e., Madinah. But there is nothing in this hadith to suggest that Rasulullah ﷺ said that this monk was the Messiah ‘Isa ibn Maryam Alaihisalam rather ‘Isa Alaihisalam is in heaven; Allah took him up and he will remain there until the appointed time, then Allah will send him back down and he will support Islam at the end of time. It was narrated that ‘Abd-Allah ibn ‘Abas said: Salman al-Farisi RA told me his story from his own lips. I was a Persian man, one of the people of Isfahan, from a village thereof called Jayy. My father was the chieftain of his village, and I was the dearest of Allah’s creation to him. He loved me so much that he kept me in his house near the fire, as girls are kept in. I strove hard in the Magian religion until I became the keeper of the fire, which I tended and did not let go out for a moment. My father had a huge garden, and he was busy one day with some construction work, so he said: “O my son, I am too busy with this building today, go and check my garden,” and he told me some of the things he wanted done. I said: ‘By God, this is better than the religion that we follow.’ By God, I did not leave them until the sun set, and I forgot about my father’s garden and did not go there. So I went to him and said: ‘I like this religion, and I would like to stay with you and serve you in your church and learn from you and pray with you.’ He said: ‘Come in.’ So, I went in with him, but he was a bad man. He would command them and exhort them to give charity, but he kept a great deal of it for himself and did not give it to the poor; he had amassed seven chests of gold and silver. I hated him deeply when I saw what he was doing, then he died and the Christians gathered to bury him. I said to them: ‘This was a bad man; he commanded you and exhorted you to give charity, but when you brought it to him he kept it for himself and did not give any of it to the poor.’ They said: ‘How do you know that? Show us where his treasure is.’ So I showed them where it was and they brought out seven chests filled with gold and silver. When they saw that they said: ‘By God, we will never bury him’; then they crucified him and pelted him with stones. When he died and was buried, I went to the man in Mosul. I said to him: ‘O So and so, so and so advised me when he died to come to you, and he told me that you follow the same as he followed.’ He said to me: ‘Stay with me.’ So I stayed with him, and I found him to be a good man who followed the same as his companion had followed. But soon he died. He said: ‘O my son, by Allah I do not know of anyone who follows what we used to follow except a man in Nasayyibeen. He is So and so; go to him.’ When he died and was buried, I went to the man in Nasayyibeen. I came to him and told him my story and what my companion had told me to do. He said: ‘Stay with me.’ So I stayed with him and I found him to be a follower of the same way as his two companions, and I stayed with a good man. When he died and was buried, I went to the man in ‘Ammuriyyah and told him my story. He said: ‘Stay with me.’ So I stayed with a man who was following the same way as his companions. I earned wealth until I had cows and sheep, then the decree of Allah came to him. Then he died and was buried, and I stayed in ‘Ammuriyyah as long as Allah willed I should stay then some merchants of Kalb passed by me and I said to them: ‘Will you take me to the land of the Arabs and I will give you these cows and sheep of mine?’ They said: ‘Yes.’ So I gave them the cows and sheep, and they took me there, but when they brought me to Wadi al-Qura they wronged me and sold me as a slave to a Jewish man. When I was with him I saw the palm trees, and I hoped that this was the land that my companion had described to me, but I was not sure. Whilst I was with him, a cousin of his from Banu Qurayzah came to him from Madinah, and he sold me to him, and he took me to Madinah. By Allah, as soon as I saw it, I recognized it from the description given to me by my companion. I stayed there, and Allah sent Rasulullah ﷺ who stayed in Makkah as long as he stayed, and I did not hear anything about him because I was so busy with the work of a slave. Then he migrated to Madinah, and by Allah, I was at the top of a palm tree belonging to my master, doing some work on it, and my master was sitting there. Then a cousin of his came and stood beside him, and said: ‘May Allah kill Banu Qaylah! By Allah, right now they are gathering in Quba’ to welcome a man who has come from Makkah today, and they say that he is a Rasulullah. I brought it near to him and Rasulullah ﷺ said to his companions: “Eat,” but he refrained from eating. I said to myself: ‘This is one.’ Then I went away and collected some more. Then I came to Rasulullah ﷺ when he was in Baqi’ al-Gharqad, where he had attended the funeral of one of his companions and he was wearing two shawls and was sitting among his companions. I greeted him with salaam then I moved behind him, trying to look at his back to see the Seal that my companion had described to me. When Rasulullah ﷺ saw me going behind him, he realized that I was trying to find confirmation of something that had been described to me, so he let his rida’ drop from his back, and I saw the Seal and recognized it. Then I embraced him, kissing (the Seal) and weeping, and Rasulullah ﷺsaid to me: “Turn around.” So I turned around and I told him my story as I have told it to you, O Ibn ‘Abas. Rasulullah ﷺ wanted his companions to hear that. Then Salman was kept busy with the work of a slave, until he had missed attending Badr and Uhud with Rasulullah ﷺ. He said: Then Rasulullah ﷺ to me: “Draw up a contract of manumission, O Salman.” So I draw up a contract of manumission with my master in return for three hundred palm trees which I would plant for him, and forty Uqiyyah. Illustration Only: The Holy land is only Holy of good deeds. So I dug the holes for them, and my companions helped me, then when I had finished, I came to him and told him. Rasulullah ﷺ came out with me and we started to bring the trees close and Rasulullah ﷺ planted them with his own hand. By the One in whose hand is the soul of Salman, not one single tree among them died. So I had paid off the trees but there still remained the money. A piece of gold the size of an egg was brought to Rasulullah ﷺ from one of his campaigns. Rasulullah ﷺ said: “What happened to the Persian who had a contract of manumission?” I was summoned to him and he said: “Take this and pay off what you owe, O Salman.” I said: ‘How could this pay off everything I owe, O Messenger of Allah?’ Rasulullahﷺ said: “Take it, and Allah will help you to pay off what you owe.” So I took it and weighed it for them, and by the One in Whose hand is the soul of Salman, it was forty Uqiyyah, so I paid them their dues and I was set free. I was present Rasulullah ﷺ at al-Khandaq, and there after I did not miss any major event with him. Certain circumstances in your life may make you give up searching for the Truth, whether you are a Muslim or a non-Muslim. You may give up the path of Haq. You may feel that you’re the only one on this road with no one beside you as a companion, as a supporter. You may have exhausted all your means to achieve a goal. You may be so very tired. You may have nowhere to go to and nobody to ask for guidance. But know that there was a man, a Sahabi RA, of the name of Salman Al-Farisi RA who did not give up even though all circumstances were against him. Strong intentions can change your world for it definitely changed his. You may be in a humiliated position, lost, uncared for, forgotten. Nothing may be working out in your eyes. However, accept that the whole Creations of Allah SWT have been silently ordered by Him to take you to where your presence will complete the whole jigsaw puzzle and… perhaps complete you as a person. Salman al-Farisi RA did not know anything about the world besides fire-worshipping but Allah SWT willed for him to teach the most knowledgeable of the Sahabah in Tafsir, i.e. ‘Abd-Allah ibn ‘Abas RA. Salman Al Farisi RA was shackled by his father, he gave up his family, his security, comfort, land, nationality, was unjustly sold as a slave in the process but he ended up finally meeting Rasulullah ﷺ in the most phenomenal of Allah SWT’s Ways. When Allah SWT Wills, things do happen for believe it or not, he RA even became a ruler of Persia! A slave who had no knowledge became a knowledgeable ruler! Subhanallah! If that doesn’t give one goose bumps, what will? We have individuals who give up studying Islam just because their parents do not approve of their going to a certain halaqah, while others who are over-zealous and are burnt-out in a few months. Both groups lack the determination, the consistency and the patience that is required to deal with the adhaa’ (the hurt) that comes with seeking knowledge. There are also those who gain a little bit of knowledge (studied from a few Sheikhs) and think that they have the right to comment on individuals left and right and therefore point out other people’s mistakes in a manner not befitting a knowledgeable Muslim, just in pursuit of feeding their ego. Knowledge sought for the right reason always makes an individual more humble. What you will find in Salman al Farisi RA’s story is extreme humility, height of patience and this insatiable desire to seek the Truth. Why have I choose to share something about sahabah? I believed the best people in this worldly life we should emulates and strive to be like them are the companion of Rasulullahﷺ. Acknowledging that Rasulullah ﷺ is the best of human being and his companions will be the manifestation of Rasulullah ﷺ message to human kind. Salman Al-Farisi RA is exemplary in his love for knowledge. When we hear about Salman Al-Farisi RA, the eyes tear up, the heart beat goes high and the love of Rasulullah ﷺincreases in our heart as we begin to imagine how the scene was like when Salman al Farisi RA met Rasulullah ﷺ for the first time. Subhana Allah!! What is amazing about Salman Al-Farisi RA is that he didn’t pity himself and give up in his challenging circumstances. With patience he excelled and the Sunnah of Allah that those whom Allah chooses because of their purity, before Allah gives them knowledge, Allah purifies their intention furthermore by putting them through trials. Those who accept the tests and persevere gain Allah Pleasure and Allah Numerous Gifts whereas those who despair and continue to despair fail the test. Some people say that how wonderful it would have been if they were a Sahabi themselves. It is worth noting that the Sahabah RA was people of character. They deserved to be developed as the core group who would pass on the message to the entire world. They weren’t those who gave up memorizing the Quran just because it wasn’t their native language. They were true men and women who had ‘it’ in them the right traits of excellence. They were determined and focused. As a result they persevered. He translated part of the Quran into Persian, thus becoming the first person to interpret and translate the Quran into a foreign language. When exactly Salman died is unknown,however it was probably during The Caliphate of Saidina Uthman ibn Affan RA reign or the second year of Saidina Ali’s RA Caliphate. One source states that he died in 32 AH/652 or 653 AD in the Julian calendar, while another source says he died during Saidina Uthman’s era in 35 AH/655 or 656 AD. Other sources state that he died during Saidina Ali’s reign. His tomb is located in Al-Mada’in, or according to some others in Isfahan, Jerusalem and elsewhere. The Maqam In Olive Hill – Baitul Maqdis – Jerusalem. We may not be remotely linked to a Sahabi through lineage and we may not live to see the time when victory is given to us. The sahabah of Rasulullah ﷺ is the reflection of success in their highest esteem in achieving truth and knowledge. The Sahabah must be our source of inspiration and we must strive hard to emulate those shining stars of the companion after Rasulullah ﷺ. To be able to build a path, one must envision the path. We must broaden our minds, get rid of the clutter, fine tune our focus and gather all our resources, unite and build this path together. We must look for solutions and our only solution lies in educating ourselves and building an alliance of educated individuals who know the value of memorizing even a single ayah from the Al Quran. Or if we can’t build the path, at least we can remove obstacles such as ignorance from our own lives so that we do not become burden on the society. Every Muslim has to demand for opportunities to learn within their community. If you don’t have anyone decent in your community, you must exhaust all opportunities online and not waste your time. And like I always say, make a very strong and pure intention and just see how Allah SWT, Al Fattah, opens up doors for you to learn, teach and be part of the solution and how Allah SWT will aid you with people who will be your support in this Dunya and will be your companions in Jannah In-shaa’Allah. All we need is a bit of self-discipline because we know what is good for us. The only problem is that we forget too quickly and let our narrow minds with limited goals stop us from being what the Sahabah were. Narrated by Ahmad in al-Musnad (5/441). The scholars of hadith said: Its isnaad is hasan. Inspiration for the young generation of today – general perspective from the writer. The Roles of Salman Al Farisi RA in the Battle of Khandaq (The Trench) and the conquest of Persia. Salman Al Farisi RA was to play an important role in the struggles of the growing Muslim State. Towards the end of the fifth year after the Hijrah of Rasulullah ﷺ got intelligence that a massive Quraish army of about ten thousand strong, including a large cavalry force, had set out from Makkah in another major attempt to finish off the Muslims. They were to be joined by the Jews of Khaybar and other powerful ‘Arab tribes like the Banu Asad and the Banu Ghatafan in a mighty alliance. The Battle of Khandaq Strategem. In the following days, the Quraish made several attempts to breach the trench, but they all ended in failure. A long siege followed in which the Muslims’ endurance was sorely tested, while they manned the trench day and night. In the end, the Quraish and their allies had to withdraw in disarray. The strategy of the trench, the steadfastness of the Muslims and, above all, Allah’s help saved the city and the Muslims from annihilation. Salman Al Farisi RA proved to be a keen student and was regarded as one of the foremost scholars among the Muslims after the passing of Rasulullah ﷺ. It is related that when the well-known companion of Rasulullah ﷺ Mu’adh ibn Jabal RA was on his deathbed, a man who came to visit him began to weep. “Why do you weep?” asked Mu’adh RA. “Because of the knowledge that I would have gained from you,” replied the man. “Don’t cry,” said Mu’adh RA comfortingly, “for when I die, seek knowledge from four persons: ‘Abdullah ibn Mas’ud, ‘Abdullah ibn Salam, Salman and Abu-d Darda’ RA”. Salman Al Farisi RA had knowledge of both the Christian scriptures and the Qur’an in addition to his earlier knowledge of the Zoroastrian religion. Salman Al Farisi RA in fact translated parts of the Qur’an into Persian during the lifetime of Rasulullah ﷺ. Salman Al Farisi RA was thus the first person to translate the Qur’an into a foreign language. In carrying out the instructions of Rasulullah ﷺ he remained faithful and thorough. As the commander of a Muslim army besieging a castle in Persia, he was urged by his forces to plunge immediately into attack. 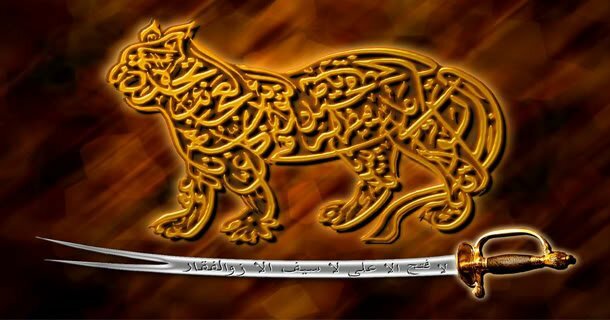 The Persians refused both these options and said to Salman Al Farisi RA;”We will fight you.” The Muslim forces called on Salman Al Farisi RA to attack them forthwith but he continued to invite them to Islam for three days. Only when they remained obstinate, did he give the command to attack and they conquered the fortress. “We were reading Surah Maryam and he vilified Maryam and her son,” they replied. Later, as a governor of al-Mada’in (Ctesiphon) near Baghdad, Salman Al Farisi RA received a stipend of five thousand dirhams. This he would distribute as Sadaqah. He lived from the work of his own hands. When some people came to al-Mada’in and saw him working in the palm groves making baskets, they were amazed. “Your brother has no need of anything in this world,” she replied. In the morning, they prayed together and then went out to meet Rasulullah ﷺ. Rasulullah ﷺsupported Salman Al Farisi RA in what he had said. Salman Al Farisi RA because of the influential household in which he grew up, might easily have continued to live a life of ease and luxury in the sprawling Persian empire of this time. His search for truth however led him, even Rasulullah ﷺ had appeared, to renounce a comfortable and affluent life and even to suffer the indignities of slavery. According to the most reliable account, he died in the year 35 AH, during the caliphate of Saidina Uthman RA, at Ctesiphon. Selected hadiths narrated and attributed to and by Salman Al Farisi RA. It was said to Salman: Your Rasulullah ﷺ teaches you everything, even about excrement. He replied: Yes. He has forbidden us to face the qiblah at the time of easing or urinating, and cleansing with right hand, and cleansing with less than three stones, or cleansing with dung or bone.